TJ felt really good to be into the NFL Draft. The clues told us that T.J loved the ravens and he wanted to be in the NFL draft. I liked that this a dream come true for T.J.
You can tell that he was very happy when he was at the podium. He was nervous at first but he finally gave a smile. You could tell he was very exciting because of how he loved the ravens for many years. He would of course be finally be happy to see the football team he looked up to after so many years! The clues let us know that T.J feels great to be apart of the NFL Draft. This lets us know that T.J loves the ravens football team. The passage said he loved the ravens, so he probably felt like he was on cloud 9 or he must have been very excited. .How proud is his family after this wonderful moment? .What made T.J love football so much? .I think football is the best sport in America because how kind and willing they are to let kids that had a rough time and making there dream come through. -T.J. had gotten brain cancer two years ago. 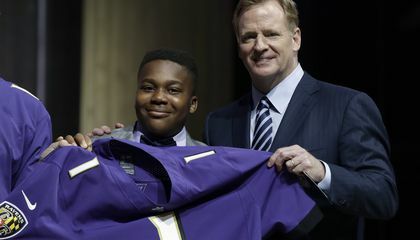 -He announced the Baltimore Ravens top draft pick. -T.J. loved the Ravens before he got diagnosed with brain cancer. -How many Raven games did he go? -Did he get to meet every raven on the team. -He is a strong survivor and he's fighting to cure the cancer. 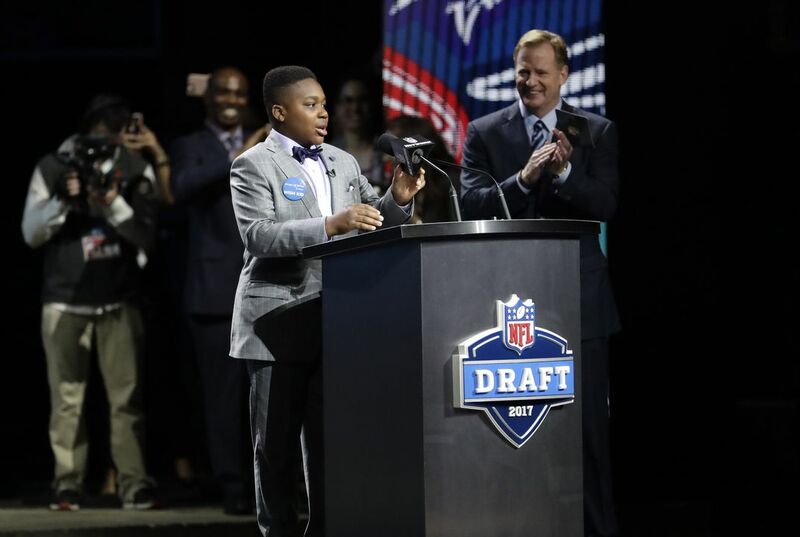 In response to "Young cancer survivor gets his wish at NFL draft," I agree that TJ should of been able to get his wish sense he had cancer. One reason I agree is that kids should get something good out of a terrible disaster. Another reason is that he is young and should remember these things in case he dies from cancer. It says in the article that he got to call the Ravens first round pick, a cornerback from Alabama. I think that it is a memory that he will not forget.